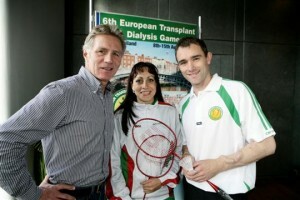 Irish running legend Eamonn Coghlan is to deliver a motivational talk to an “inspirational” bunch of Irish athletes – all of whom have had major organ transplants or are currently on dialysis. And former world champion Coghlan knows he will be talking to an already-motivated bunch when he meets with the members of the Irish team ahead of the European Transplant & Dialysis Games. Dublin has the honour of hosting these Games for the first time next month, and Coghlan has agreed to come on board as Games Ambassador. “I have been asked to speak with the Irish team at their final pre-Games get-together on Sunday, July 25th, and I am delighted to do so – but, to be perfectly honest, I know they won’t need motivation,” said Coghlan, whose motivational talk will take place on Sunday, July 25th, in ALSAA sports venue near Dublin Airport. “All of these people have shown remarkable courage in their lives. Each one of them knows what it is like to be seriously ill, and yet they all remain committed to sport and to an active and healthy lifestyle. Irish companies have been urged to look at a novel way of supporting this August’s European Transplant & Dialysis Games in Dublin – by letting staff members a ‘volunteer day’ to help out. Over 350 transplant and dialysis athletes from 24 European countries will converge on Dublin from August 8th-15th for the European Games. All of the athletes are currently on kidney dialysis or have had a transplant of organs such as heart, kidney, liver, or lung. The Games village will be at DCU on Dublin’s northside. 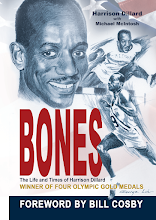 “The key message of the Games is the importance of organ donation. That’s what we constantly promote, and these Games will help to spread that message far and wide,” said team manager Colin White.